The People of Rome | What am I doing here? 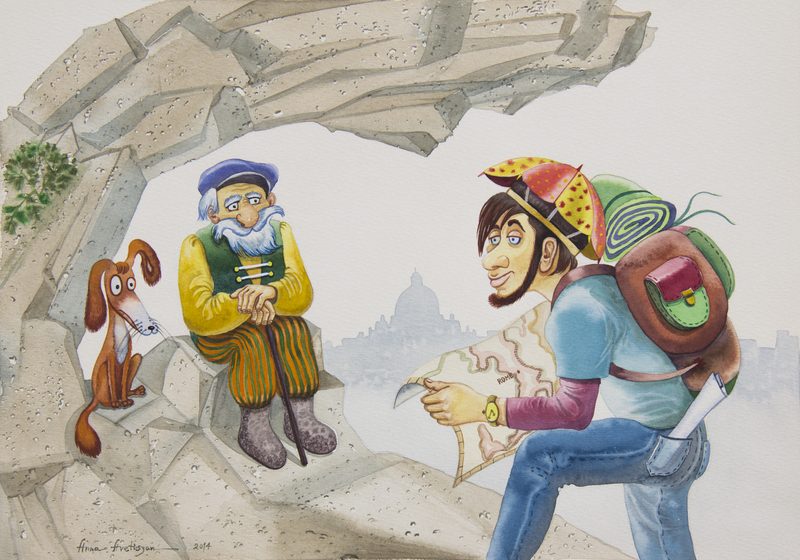 There was once a traveler who was on his way to Rome, it was a long and dusty path and he had misgivings about the city. He had heard so much, travelled so far and he was nervous about how he would make his way in the new city. A days walk from Rome he reached the top of a hill from which Rome in its glory could be seen. And sitting in the shade of a rock sat an old man. He walked over to the man. “I am from a village outside Athens sir” replied the traveler. We often feel that a situation is bad and many times we relate this with particular events and circumstances that seem to us unique to that situation. However so many times we fail to ask ourselves if we have encountered the underlying issues before and whether it may in fact be us who is the common element. We are inclined to take our baggage with us. I believe that wisdom is paying more attention to what is going on around us than the next person and seeing our part in this; and this includes us recognizing our part in repeating patterns. We are almost never a neutral party in anything we are a part of. Thus for International Development we must try to see how we take our own projections into various situations, staff groups and communities. And be aware of our own inclinations to make judgments and prophesies based on our own assumptions and then to see how these tend to become self-fulfilling. Just as the travelers in the story above we tend to see our situation as being the result of others behaviors rather than the result of our own interactions with others. We expect others to be open to change and have positive mindsets when so often we fail to be genuinely open and positive ourselves. We expect others to have self-belief when we do not believe in our own power to be real catalysts for change. And we expect others to take risks and be advocate for change, when we do not take risks or challenge the authorities in our own circumstances. Jock Noble is the Lead of World Visions Economic Development Learning Hub for the Middle East and Eastern Europe. After a career of trying to teach turtles to fly he finally got into the water and is learning to swim with them. This entry was posted in Stories From the Road and tagged Advice in International developement, international development, Projections in international development, stories about International Development and Relief, worldviews in international development. Bookmark the permalink.